America’s most famous butcher Pat LaFrieda is the king of meat. We agree, he is the undisputed number one expert when it comes to first-class meat. His company Pat LaFrieda Meat Purveyors supplies the top-class and Michelin star awarded restaurants nationwide with premium steaks. Pat LaFrieda was first introduced to the meat world as a 10-year-old boy helping out at his grandfather’s butchering business. His father never wanted his son to join the family business, but he wanted to show him the importance of hard work. After a year as a Wall Street broker, Pat followed his passion and took over the family business. Pat developed his family business into one of the most prestigious meat purveyors of the country, selling steaks to numerous Michelin-starred restaurants. His name stands for unparalleled quality. Pat LaFrieda grilling steaks in his garden. 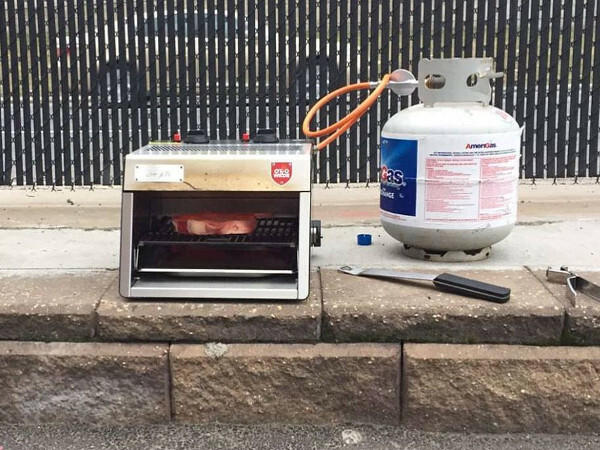 When Otto Wilde Grillers approached Pat with their Otto Grill in 2016, Pat first deleted every email. 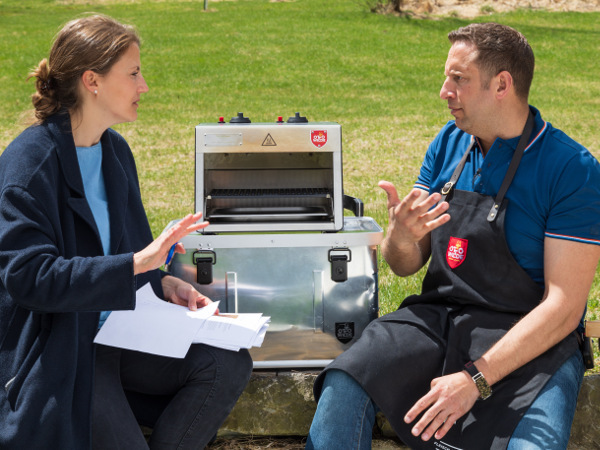 During his time running the third-generation family business, he has been approached by many grill manufacturers and never endorsed a product. But somehow the Otto Grill kept coming back to his thoughts. One evening while cooking steak, he went back to his deleted emails to take a thorough look at the grill in more detail. He was hooked. That was it! Grilling together for the first time on the sidewalk in front of Pat’s facility. So, the Otto team flew over to New Jersey in the spring of 2017 to meet the king of meat and grilled a steak with Pat in front of his facility in North Bergen. The King’s verdict: it was one of the best steaks Pat has ever had. What was planned as a one-hour meeting turned out to be a six-hours tailgate. Even though Pat was convinced of the grill after the first 30 seconds, he still continued to experiment with it for almost half a day. Pat and Otto Wilde Co-Founder, Julia, during a video shooting. The story of how it all began was a warm-hearted and informal partnership from the beginning. A cooperation of two companies who both stand for the highest quality standards in their respective fields. We are indescribably thankful that we could gain a partner like Pat LaFrieda, the king of meat, on our mission to setting new grilling benchmarks and are excited for many more grilling sessions to come. The combination of steaks from the best butcher in the US, Pat LaFrieda, and Otto’s Steak Grill is too tasty to keep to ourselves. Looking for the right meat to put on your grill? You can get it here.